Photographing a newborn has to be the best job in the world. I have two sons and I wish I had known about newborn photography when they were born. They grow so quickly, it seems impossible that my boys were once so tiny. So to me, being able to give other parents the opportunity to capture their precious new baby while they are so tiny, is truely a pleasure as I know how important it is. To me, capturing the first few days of your baby and your family is just as, if not more important, than a wedding as it marks a defining moment in your life. 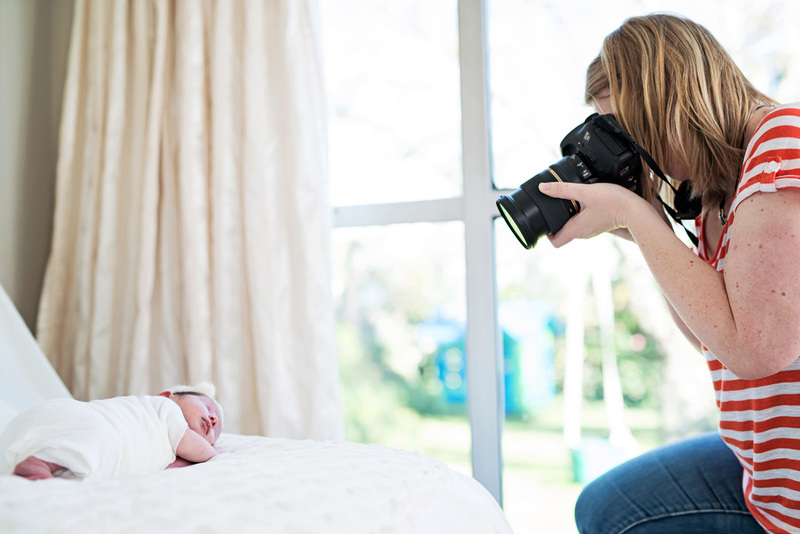 Newborn photography is at it’s best during the first 10 days after your baby’s birth. I think the sweet spot is between 5-10 days and I’ll do my best to schedule your session then if possible. Newborns under a week tend to curl up more easily, and tend to not mind too much being moved and posed. 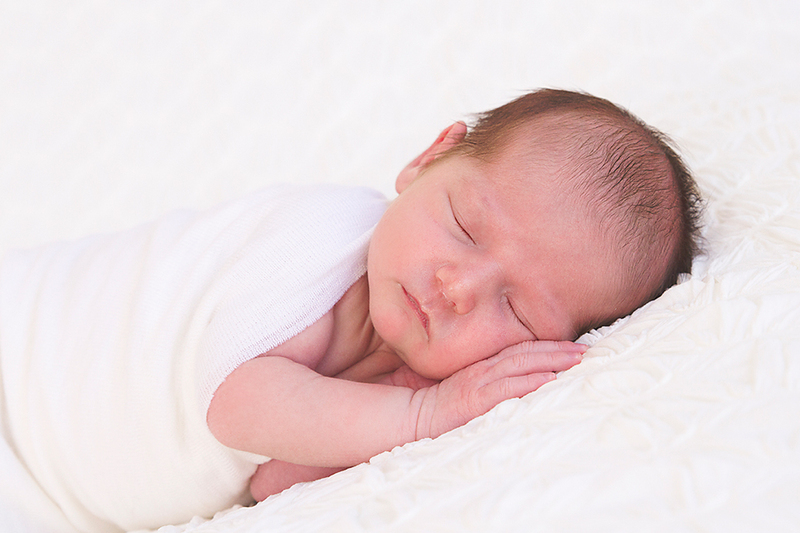 I heat up the studio at my home and will encourage you to feed them once you arrive at the studio as their deep newborn slumber is an important part of capturing them at this stage. Mostly I try to get the family photos done at the start of the session, especially if baby is awake and not quite settled then. Then, if needed baby will have a little top up feed before settling to sleep. Settling the baby will be mostly my job, so you and your partner can sit back and relax with a cuppa while I do all the work! Occasionally I may need some extra hands, so may ask for your assistance too. 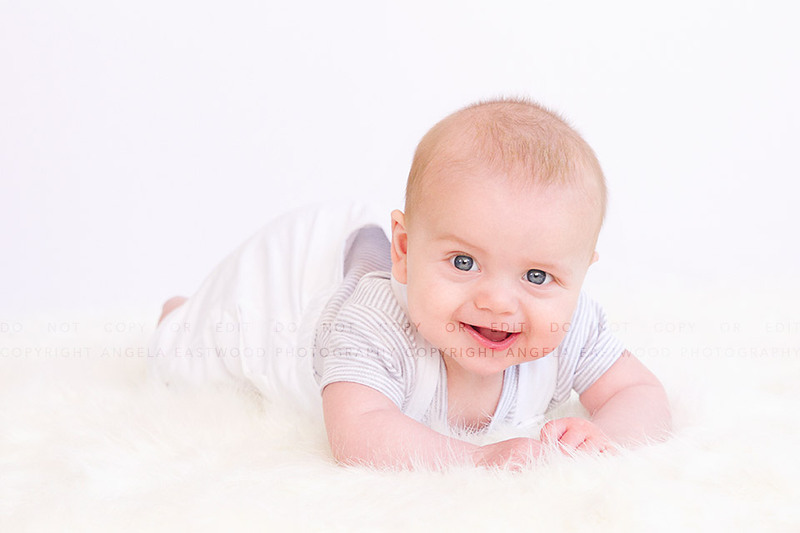 Sessions with 2 and 3 week old newborns are also an option, and these sessions tend to focus on simple and natural images. This is because they don't tend to like being moved or messed with once they are asleep. But you will get some wonderful awake shots too at this age as they are starting to be more alert. 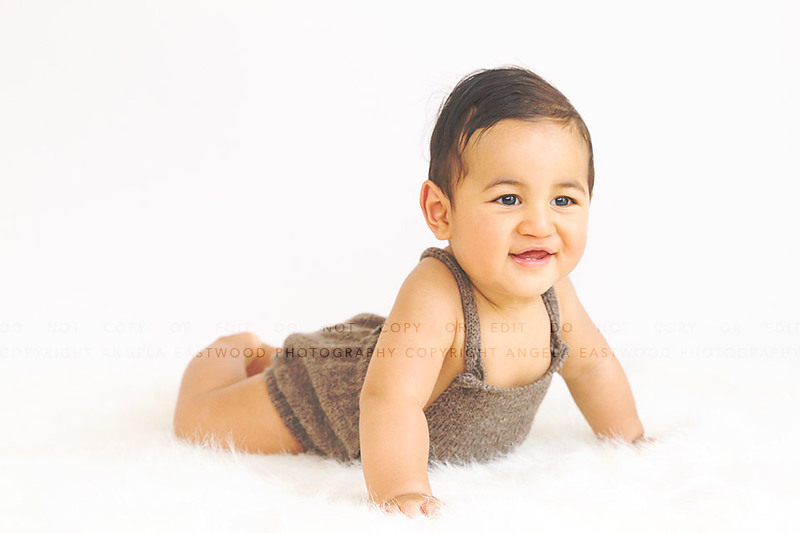 My style is simple, beautiful photography of your baby in a mixture of natural and simple poses. I tend not to use too many props, and prefer to allow your new baby to be the 'star' using beautiful fabrics & backdrops, with simple fabric wraps to enhance the image. I love to incorporate special heirlooms when I can, so if you have a special shawl you would like to use, please bring it along to your session. 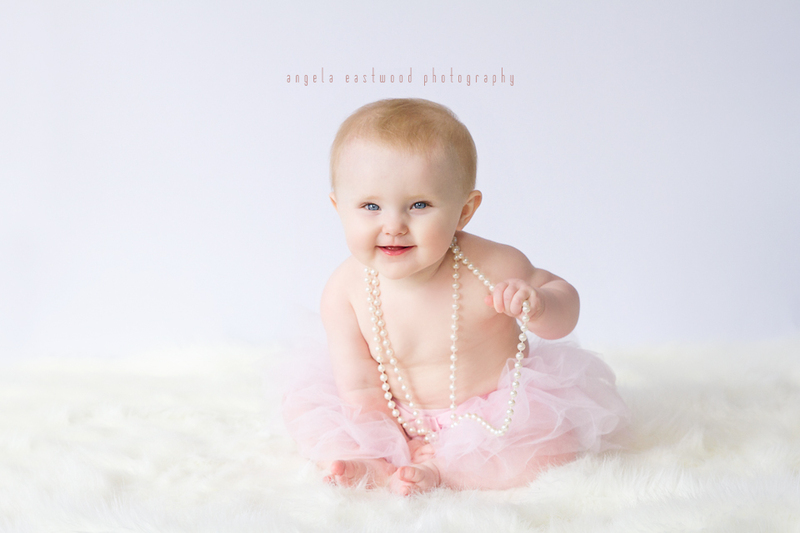 To schedule your newborn session, please contact me during your pregnancy if possible. I limit the number of sessions that I book each month to make sure that I have the flexibility to schedule each baby soon after birth. Since they arrive on their own timing, I do occasionally have last minute openings available. 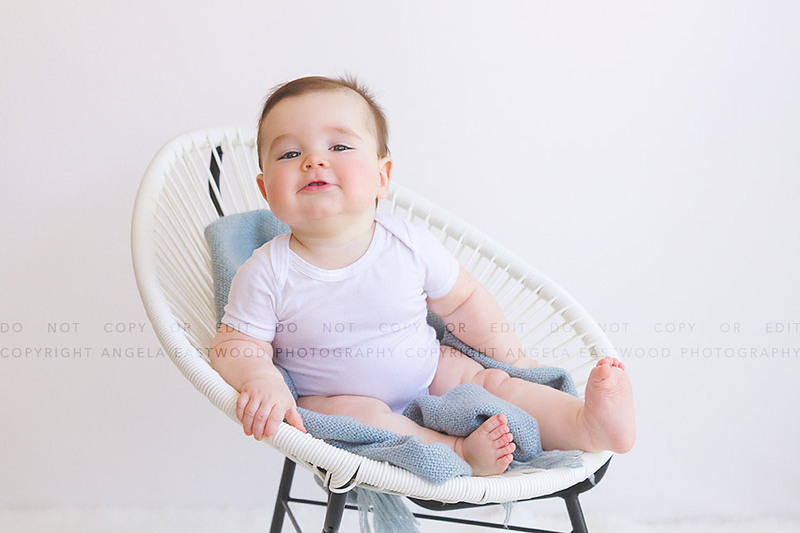 I have a few props I may use during the session, but generally will be simple set ups to let your baby shine in all their cuteness. They may be a little serious and wary to start, but don't worry, that is totally normal. Hopefully they will warm up and give me at least a few smiles to capture for you.